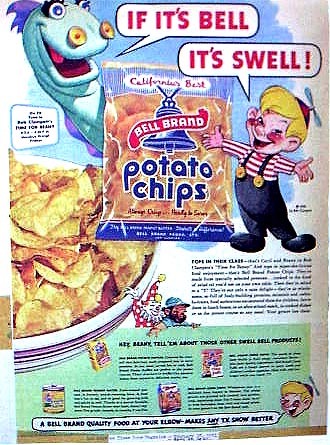 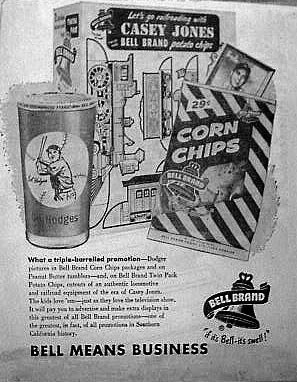 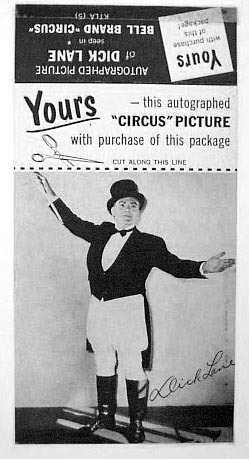 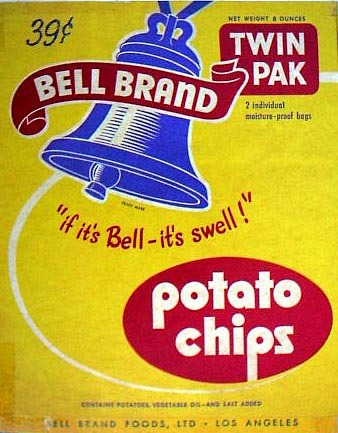 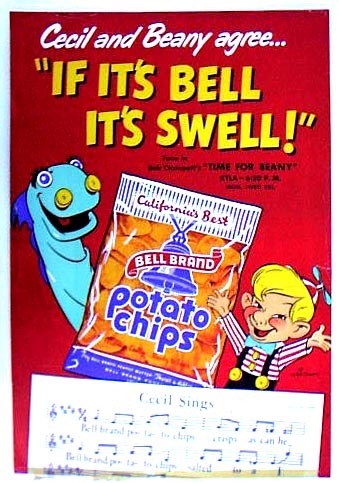 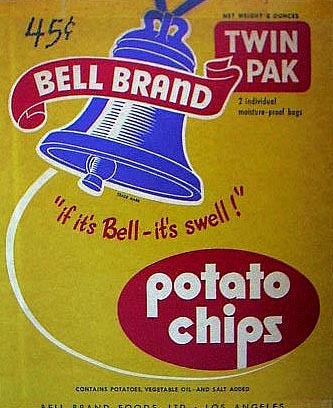 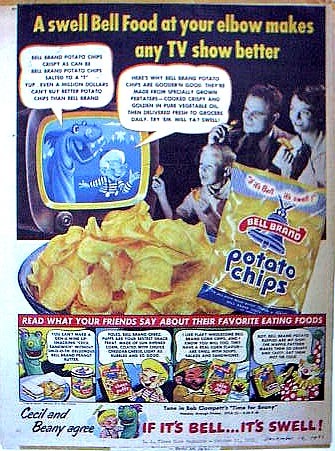 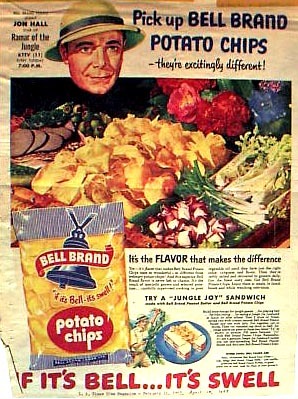 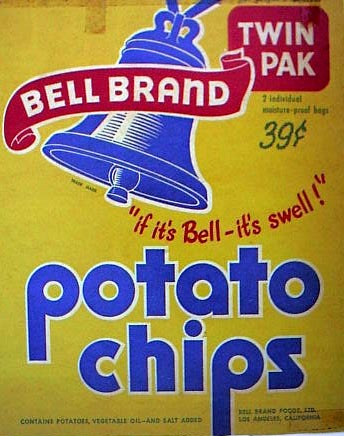 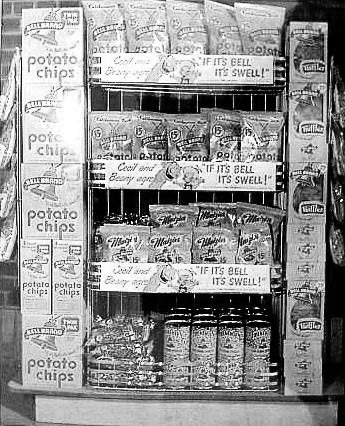 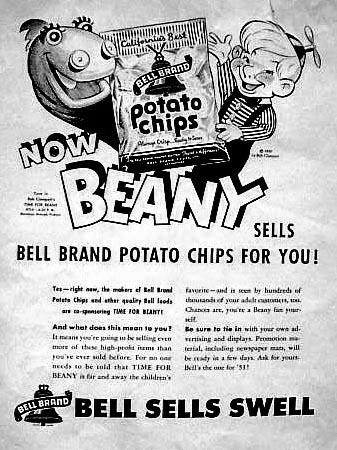 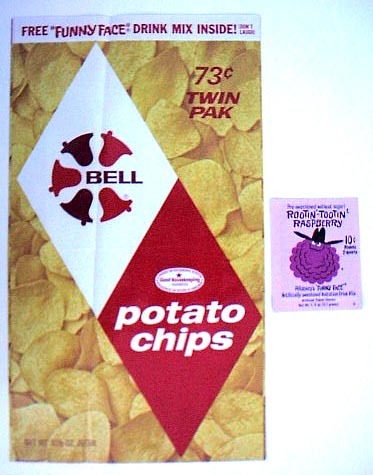 In a recent find we were lucky enough to purchase the scrap books from the Bell Brand Potato Chip company. 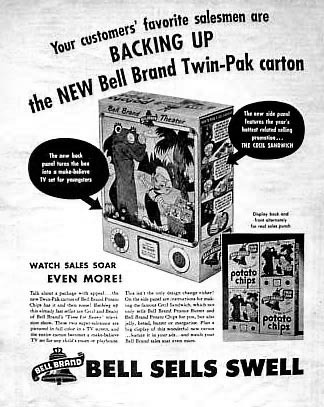 These 5 large books contained many ads, packages, premiums and photos showing the company's various promotions though the years. 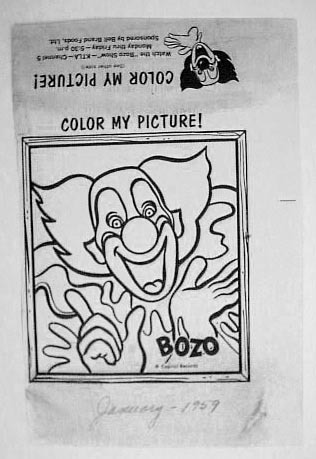 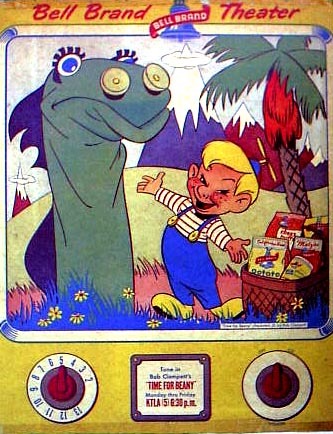 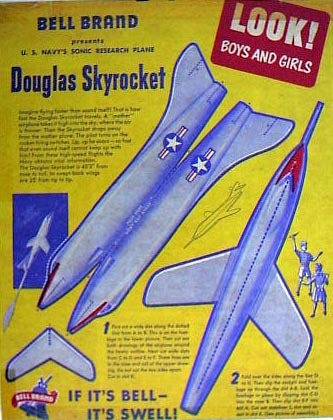 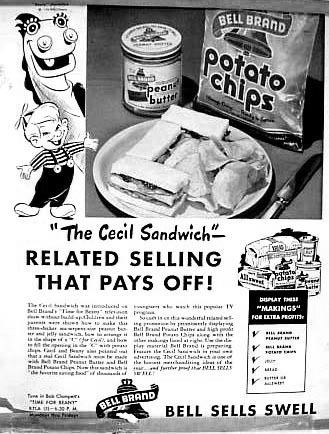 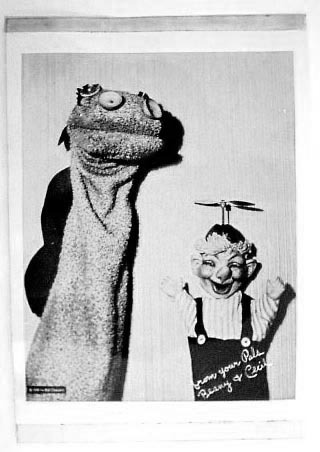 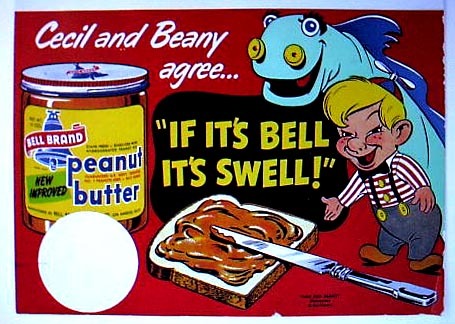 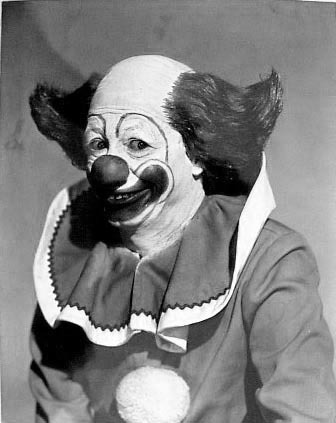 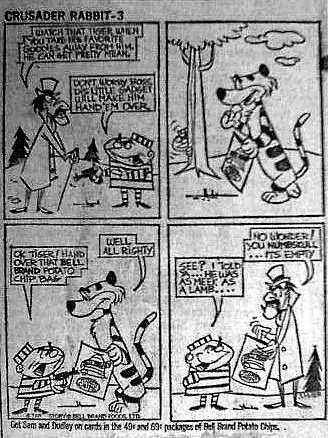 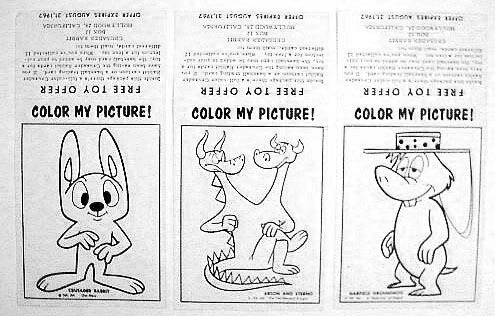 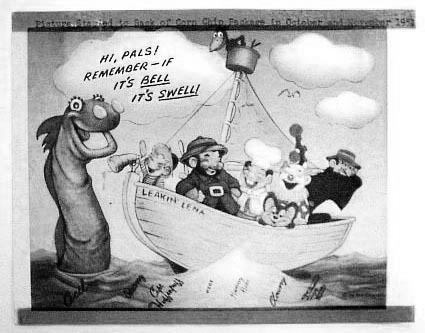 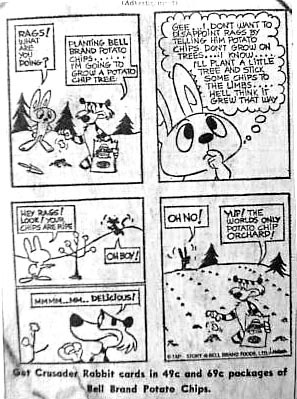 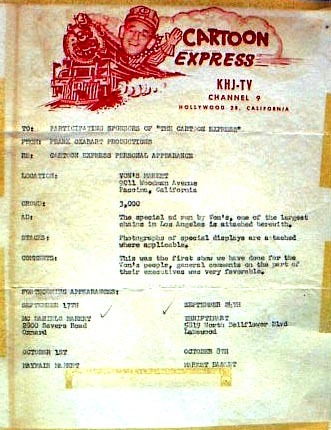 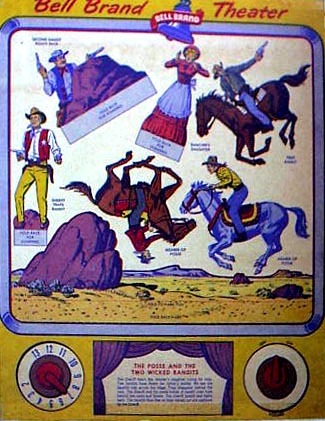 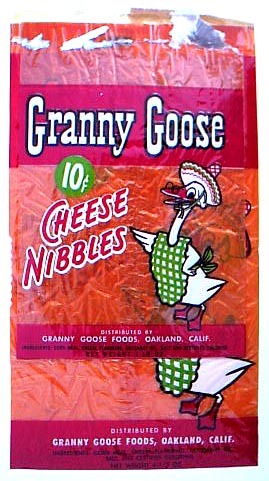 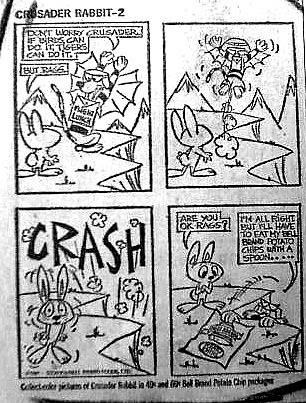 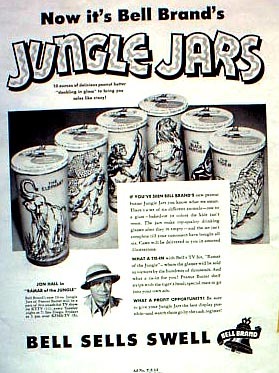 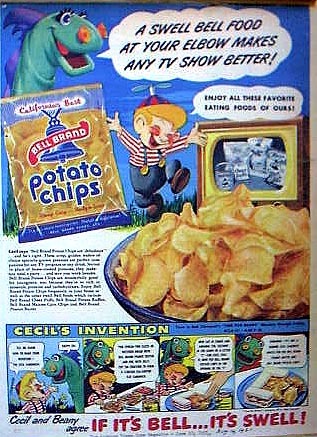 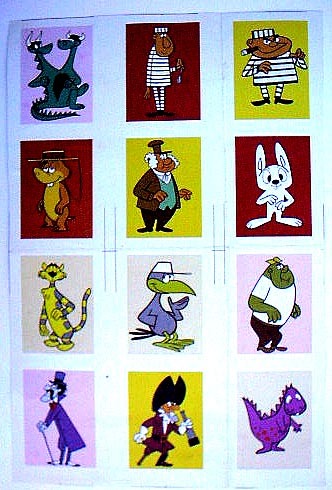 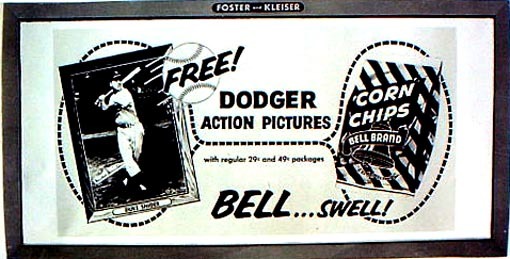 Their three major promotions of interest to collectors were Beany & Cecil in 1951, Dodgers Baseball Cards in 1961 and Crusader Rabbit also in 1961.